Easter is this Sunday and Easter always brings back memories of Easter's past when we all use to dress up in our Easter outfits and go to church. All the flowers were so pretty and if we were lucky the sun was shining and the snow was gone. 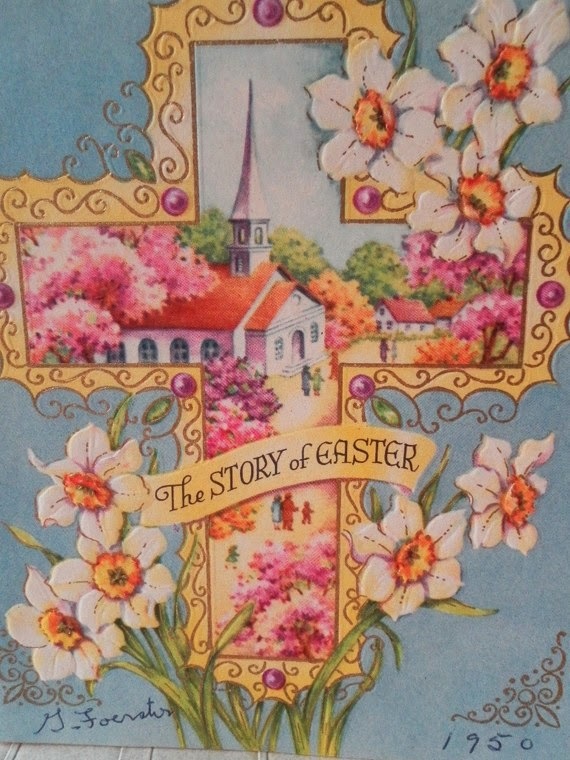 I thought we would take a nostalgic step back to Easter's of past with some vintage finds from Etsy. 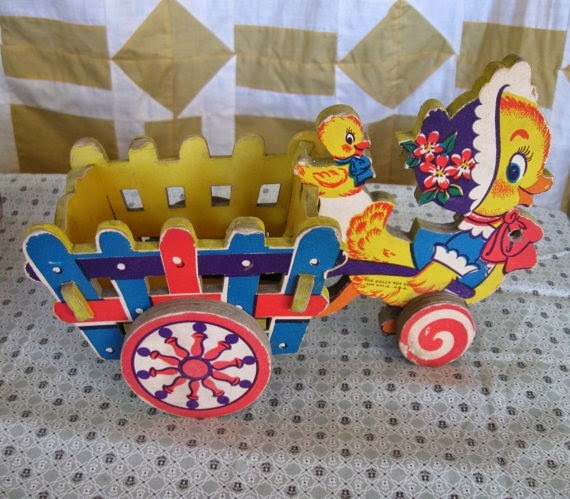 How about this cute little vintage pull toy candy container from kccaseyfinds. It is so cute and colorful. 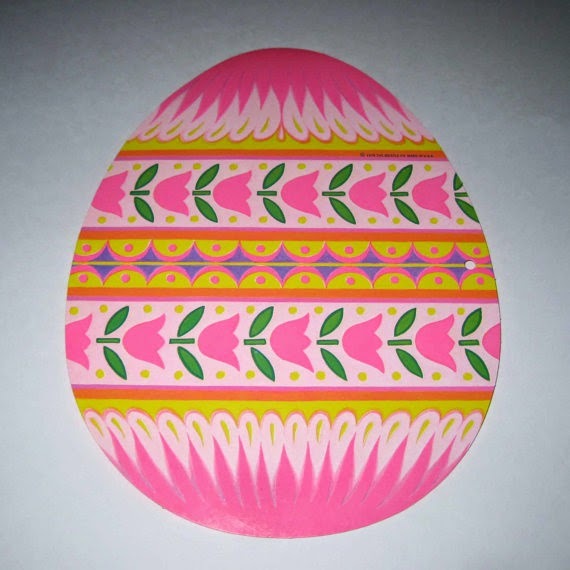 What a pretty wall decoration for Easter. You can find this at grandmothersattic. She has lots of different designs too. Of course, what is Easter without the Easter basket. 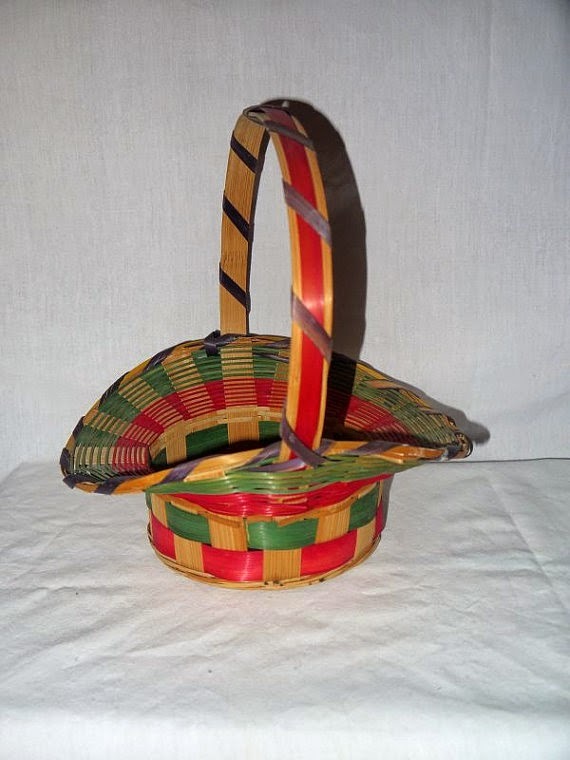 How many of your remember these baskets? I do! Oh,oh....aging myself again. :) I think I probably even had some of these. SkyWayVintage has this cute basket and several other items. 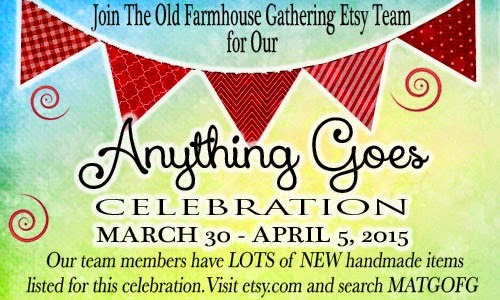 The Old Farmhouse Gathering Team on Etsy is having an Anything Goes Celebration. Below is just a sampling of what new items are being offered in the member shops. To see all the offerings, click on the graphic above! You won't be disappointed. 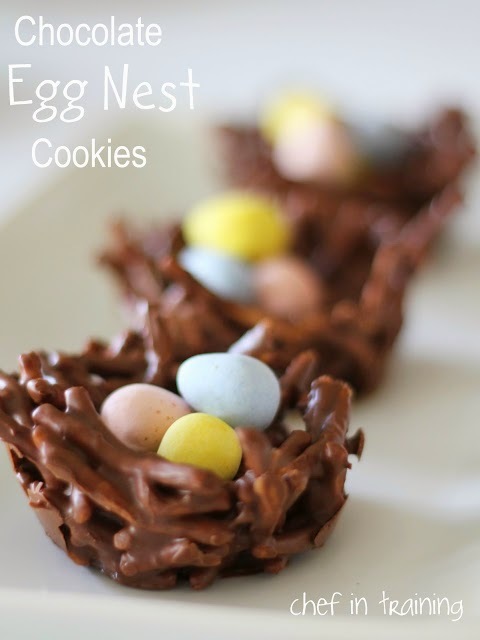 These are so easy and with Easter next week, you'll have plenty of time to make these. For the recipe, visit Nikki at Chef in Training by clicking on the photo above. 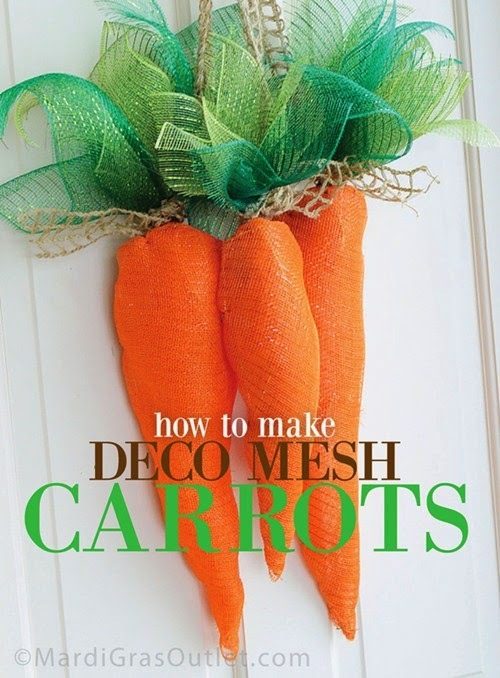 Here's a great tutorial that is not only whimsical but practical too!!! 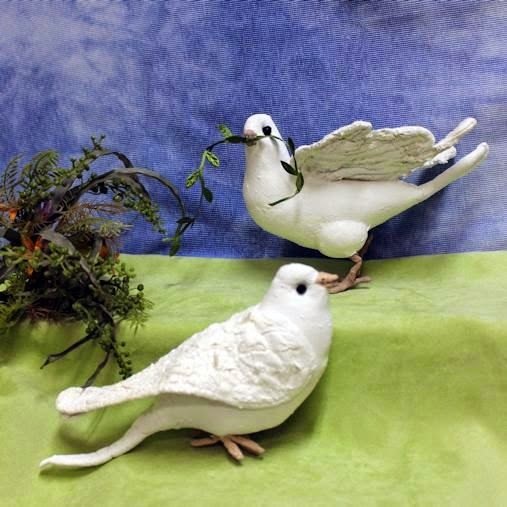 Would look fantastic in your garden. 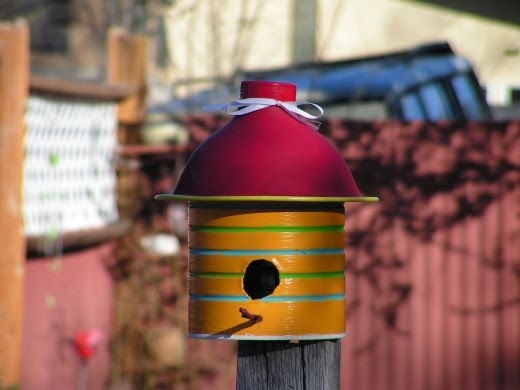 You'll love it and so will your feathered friends. For the full tutorial, click on the photo above. 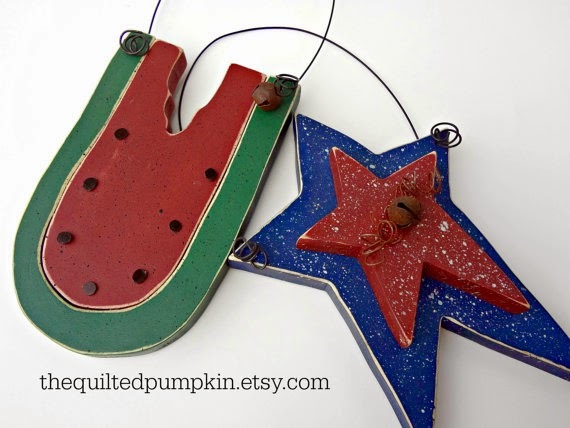 This week's featured shop is The Quilted Pumpkin. 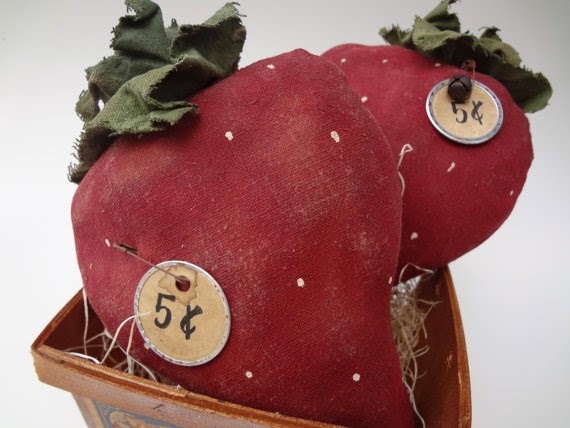 In Laura's shop you can find handcrafted rustics and primitives for the changing seasons and holidays! She works with fabrics, wood, paint, rusty metals and bells along with glass glitter and uses aging techniques for timeworn appearances. To see all that Laura has to offer at The Quilted Pumpkin, click on any of the photos below! ... and other fun hiding places. Set - 5 Crochet Lace flowers, Unique flowers wedding favor, Country wedding favors, Romantic rustic flower, Wedding quest gift. 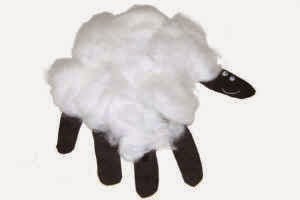 What a cute way to preserve your child's handprint!!! Make a few of them to give out to Grandma, Auntie, Sis or anyone you know who would love to receive one of these from your little one. Make one for your child's scrapbook as well. For full instructions, click on the photo above! Well Easter is getting closer. Just a few weeks away. Seems a little early this year to me. How about you? 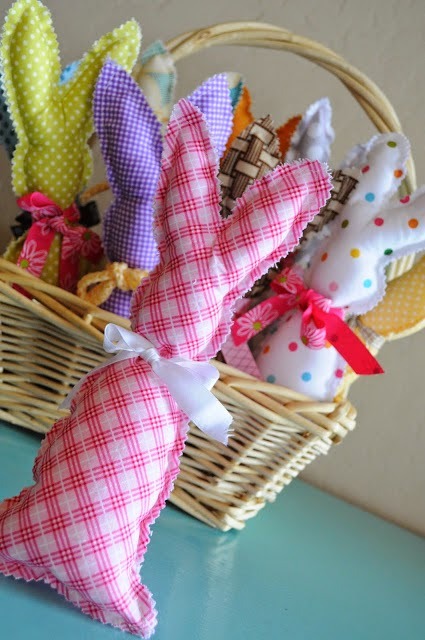 We need to get busy and get those Easter decorations done. Now of course the bunnies will need carrots to eat and these carrots over at MardiGrasOutlet look almost good enough to eat. Now I have never tried to make anything with that mesh, but it doesn't look to hard. 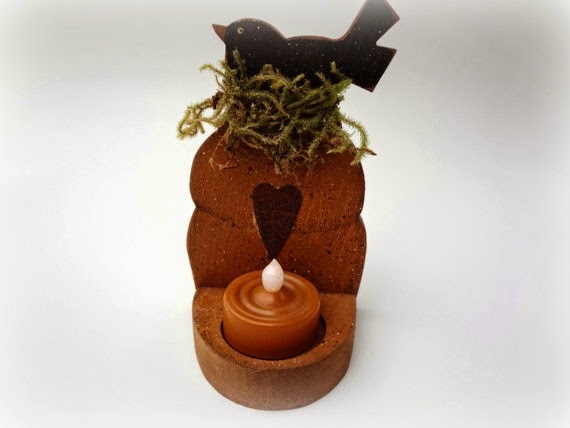 Next we have the traditional Easter egg. Well these aren't quite traditional, but they are a nice spin on the Easter egg. I like the old fashion look to them and the lace and charm make a great addition. 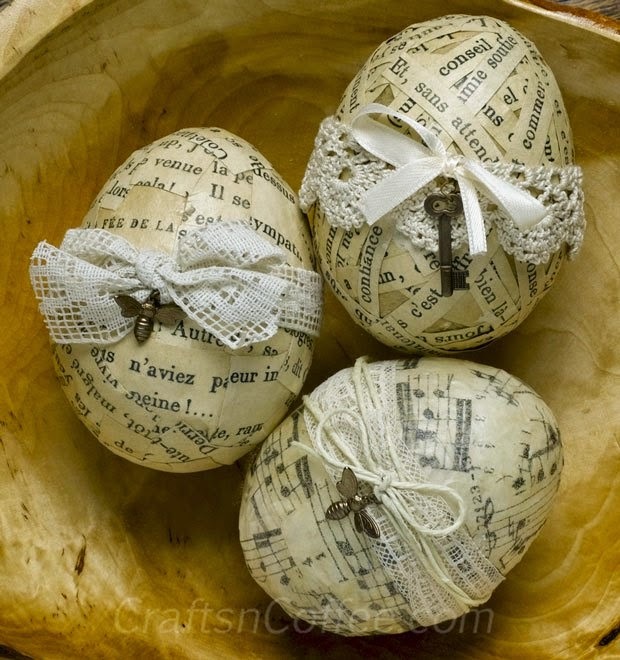 Over at craftsandcoffee you can find out how to make these decoupage eggs. Then we need Easter baskets to put everything in. 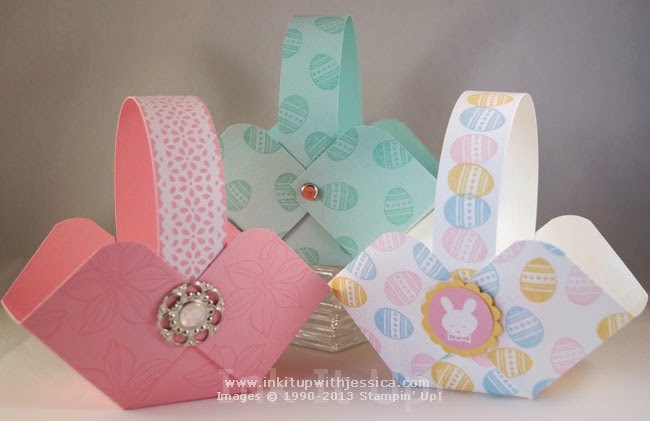 I thought these cute little baskets from Jessica over at Inkitupwithjessica that are made from card stock were so cute. Just think of all the designs you could make. Click on the photo above for the recipe for this sweet and sour and savory dish. 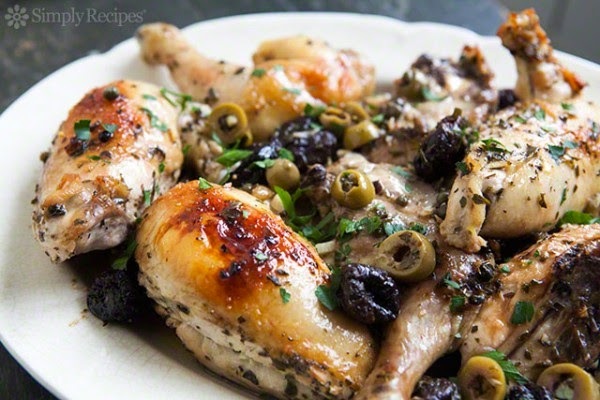 Great meal to serve at your next dinner party! 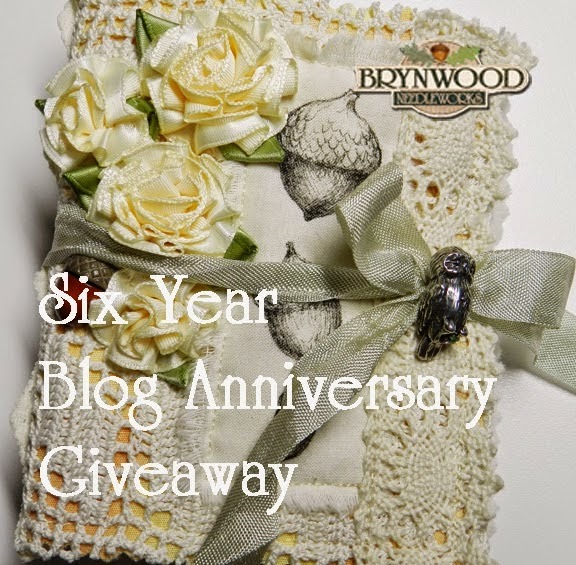 Donna at Brynwood Needleworks is celebrating 6 years of blogging. To celebrate, she is having a giveaway. Click on the photo above not only to sign up for the giveaway but to spend time with Donna. She is a wonderfully talented lady and you won't want to miss a single post. 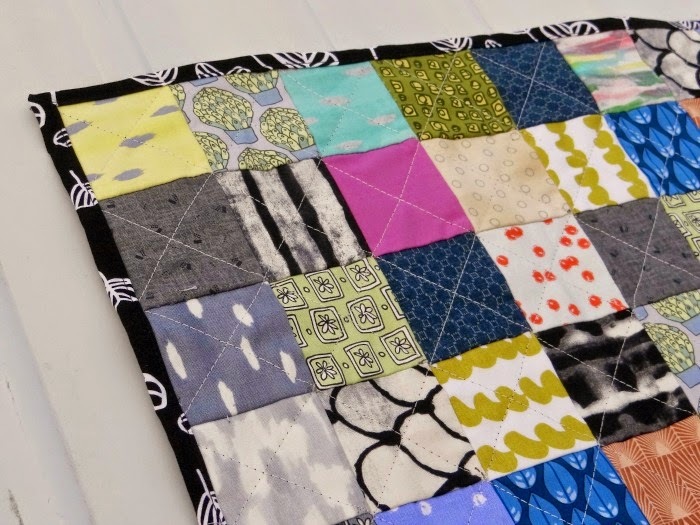 Patchwork Posse has a tutorial on making a mini Postage Stamp quilt using a muslin foundation. Works up perfectly every time. Click on the photo above for the complete tutorial with lots of pictures. 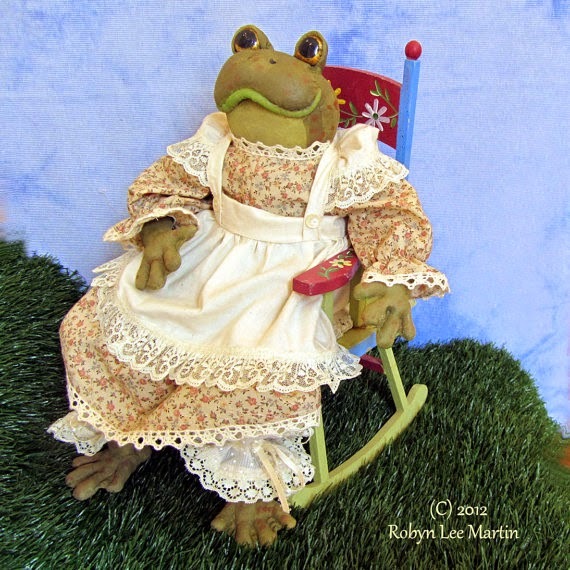 Today's featured shop is Motherlode Toad Factory. 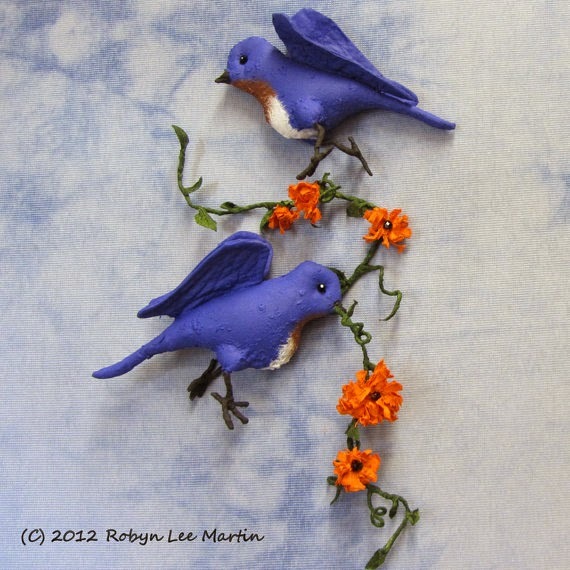 Robyn has a wonderful shop filled with primitive, whimsical and fun folk art, One of a Kinds and patterns. Robyn's attention to detail is amazing!!! Click on any of the photos below and see all that Robyn has to offer. Thanks to Melissa for the color palette! Spring Green READING RUG in wonderful Lime and Red. Hand painted silk scarf in green and red , with woodland natural motive. Ready to ship. Red Poppy Painting, Fine Art Painting, Canvas Acrylics, Ruby Red Poppies Poppy Bud, Green White, Modern Floral 14 x 18"